If you're short, or you like long pants, and you're not into high heels, you might find yourself with your pants dragging under your heels and getting wet when walking through grass. Or, maybe you're into buying too-big pants for your kids so they can grow into them, but you don't want them tripping over their pants legs... whatever works... Here's a quick tutorial for how to make magnetic strips that keep your pants rolled up. They're cheap and quick to make, and if you color-coordinate them with whatever you're wearing, you'll look super-awesome as well (I made that last part up). 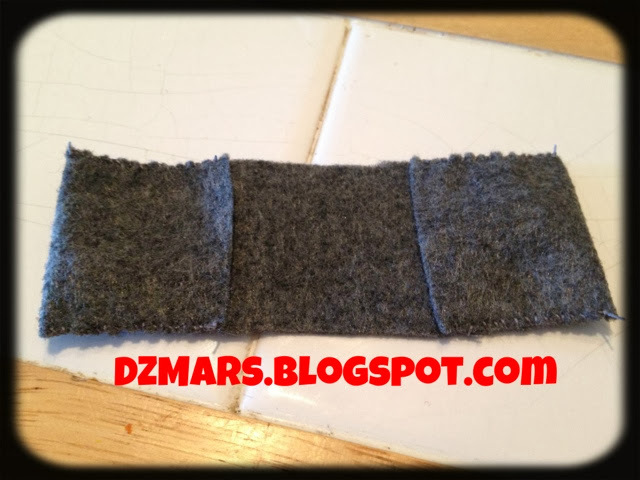 Cut a strip of felt about an inch to an inch and a half wide. 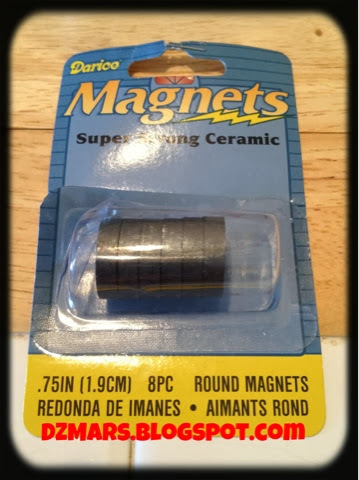 Make sure your magnet can sit on it and have a border around it. The strip should be as long as you want it, plus about 2"-3" extra. I think mine was about 7" long. Fold over about an inch and sew up the sides. I did this by hand, thinking it would be faster than dragging out my machine. 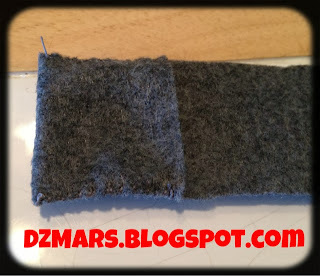 In retrospect, I would use my machine and use the small zigzag stitch that locks edges. Pull out your magnets. This is the type I bought; they come from Joann Fabrics. Slip a magnet in each pocket. Before you go any further, make sure the poles are set so that if you folded this in half, the magnets would attract each other as opposed to repelling. If you want to keep the magnets free to put them in other strips later, then you are done with the work. 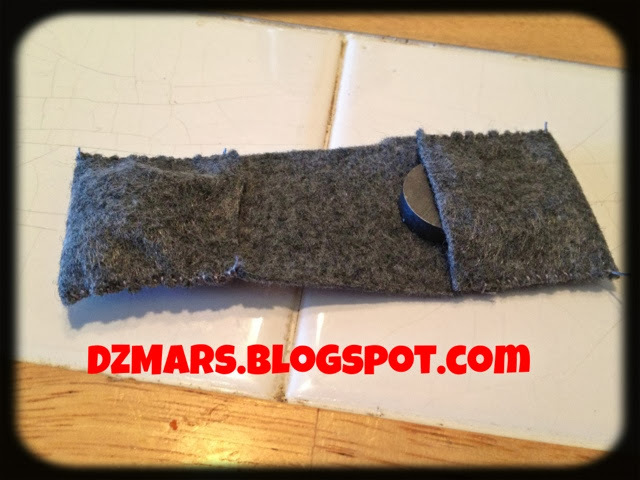 If you want to wear these in places where they might get hooked on something and may fall off, I'd recommend putting single stitch right below the magnet so that it does not fall out of the pouch. 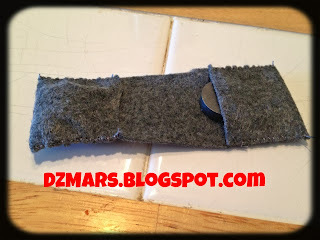 Make a tube of cotton fabric in a pattern you like and sew the magnets inside it. I'm only using felt because I didn't want to hem. You could make really funky ones to make you super popular (I made that part up, too). Make nice ones out of fabric that matches your dress pants so that you can wear flats to work with your high-heel-only pants. 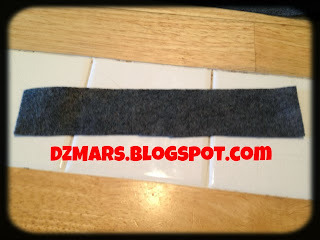 Sew a strip of ribbon up and down on the fabric before making the pouches. You'll have a heel racing stripe!